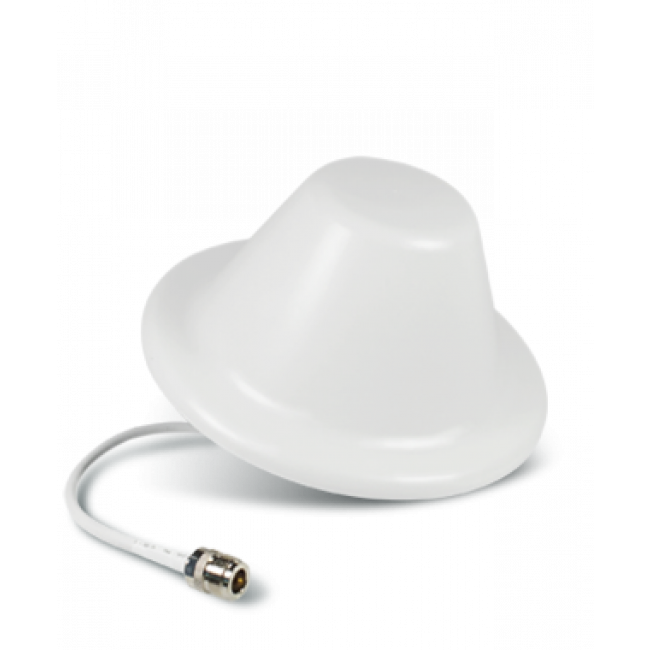 The Surecall Full Band Dome Antenna SC-222W (previously the CM222W) works will all Surecall cell phone signal booster systems and will spread the boosted signal in all directions from the ceiling down. The SC-222W works best went mounted on a ceiling facing down and can cover the area below. 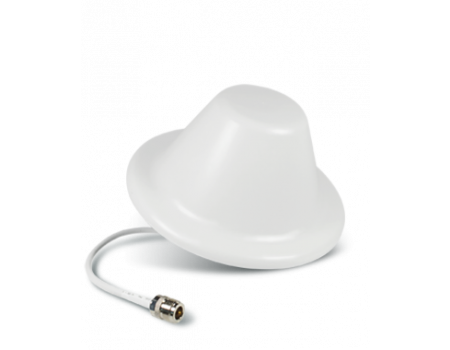 The range is dependent on many factors including the construction of the building and the strength of the signal amplifier.